A new name has been unveiled for what is believed to be Cornwall’s oldest charity. Cornwall Blind Association, which supports around 3,000 people each year living with visual impairment, was re-launched this week as iSight Cornwall. Over 80 clients, supporters, staff and volunteers gathered at Heartlands, Pool, to celebrate the new name and brand, which is hoped will help the charity reach thousands more people in Cornwall living with sight loss. The charity itself was established in 1856 to support miners whom had lost their sight. Chief executive of iSight Cornwall, Terri Rosnau-Ward, said: “We’re very excited to be unveiling our new name and look, which has taken over a year of work. Brand research and development was completed by Truro-based agency MPAD, which specialises in communications for charities and third sector organisations. 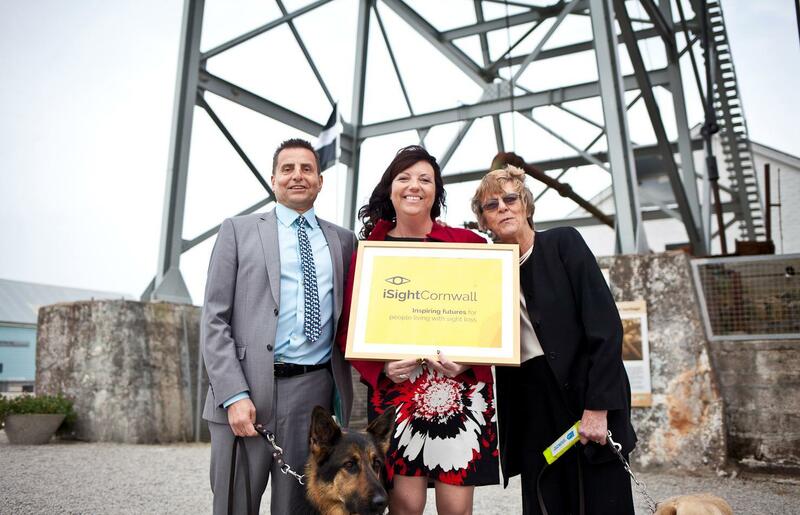 The brand name iSight Cornwall has also been trademarked, working with Stephens Scown solicitors, to protect the charity’s new asset.